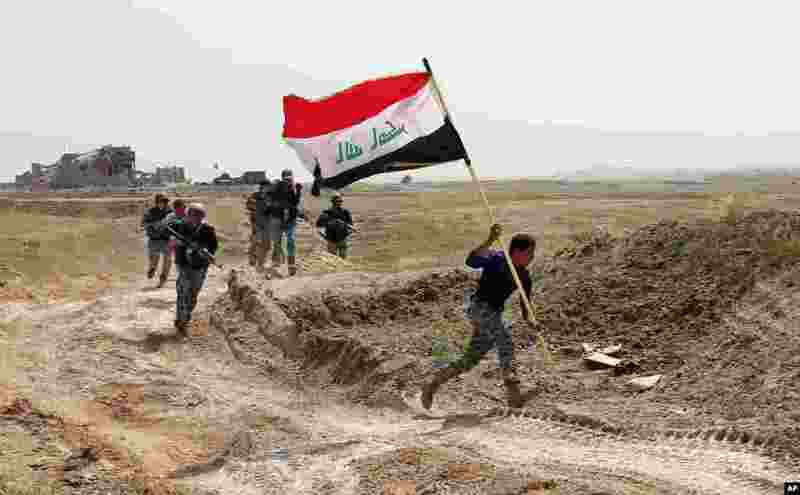 1 A member of the Iraqi security forces runs to plant the national flag during clashes to regain Tikrit from Islamic State militants. 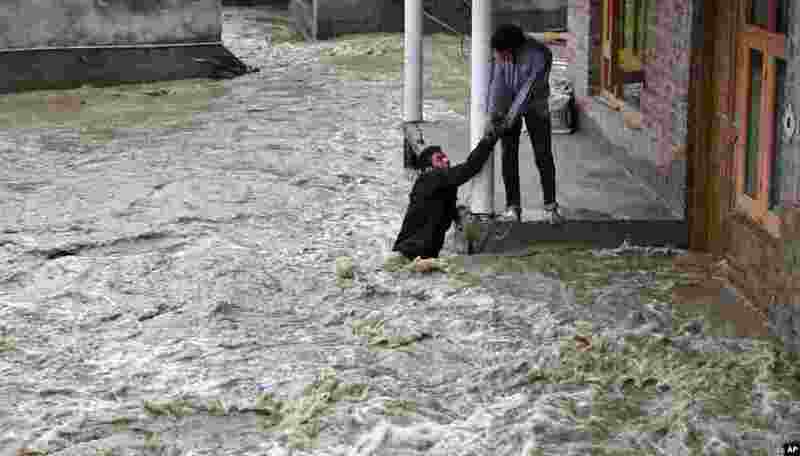 2 A man being pulled out of the water, during floods in Srinagar, Indian-controlled Kashmir. 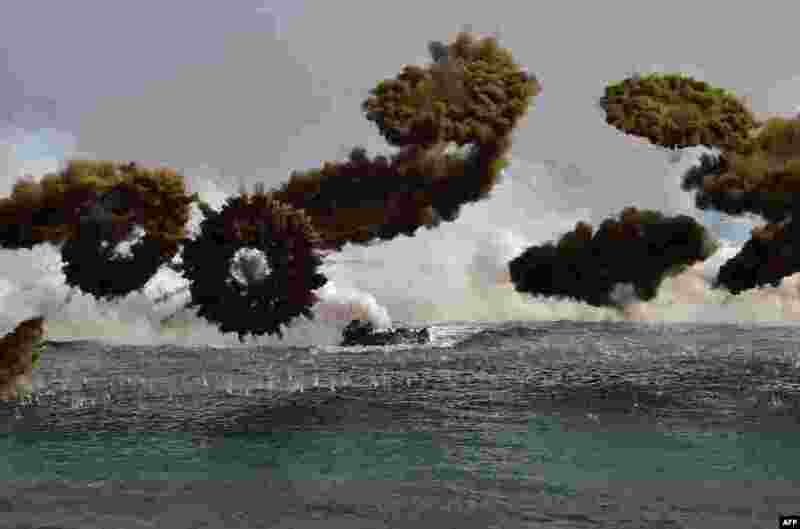 3 South Korean Marine amphibious assault vehicles fire smoke shells before an amphibious landing during a joint operation by U.S. and South Korean Marines in the southeastern port of Pohang. 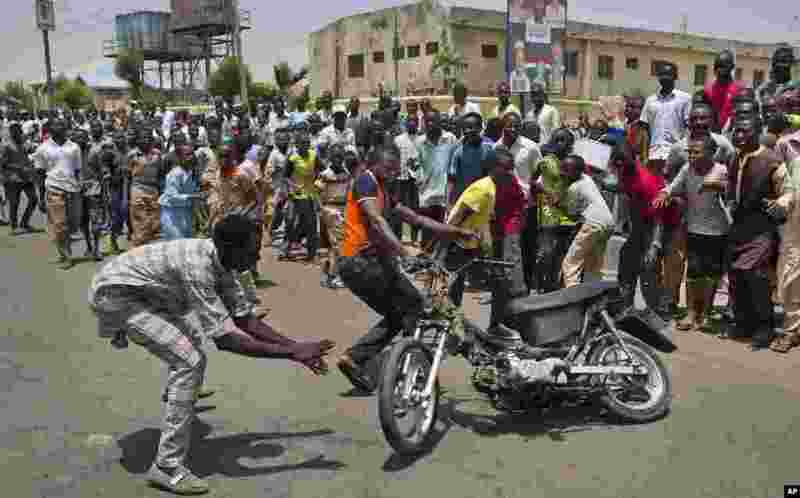 4 Supporters of opposition candidate Gen. Muhammadu Buhari's All Progressives Congress (APC) party celebrate by wheel-spinning motorcycles what they said was the senatorial win in Kano Central district of APC candidate Rabiu Musa Kwankwaso. Nigerians are waiting in hope and fear for results of the most tightly contested presidential election in the nation's turbulent history.